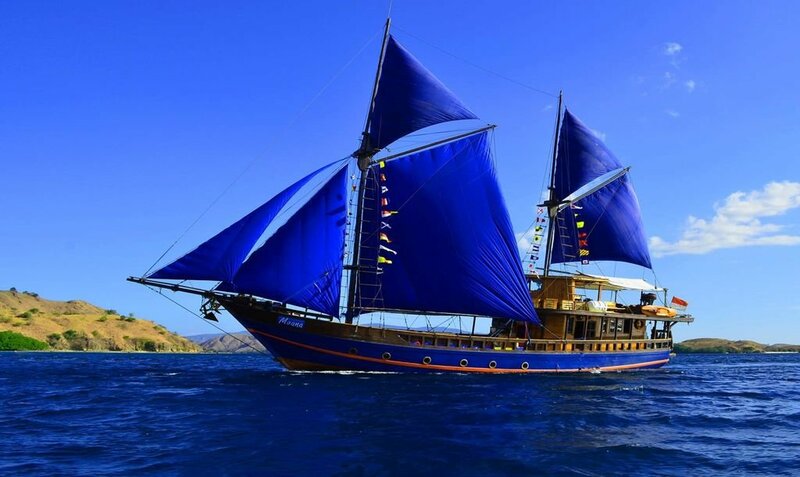 On day 1 the Moana is waiting for you at the port of Labuhan Bajo on Flores. After a refreshing welcome drink, we will leave. Then it is time for a brief introduction of the facilities of our vessel, the dive operation and the tour program. The 1st dive will be at Sabalon or Sabayur and the 2nd one is a night dive at Gili Lava Darat. Then we will have dinner and spend the night north of Komodo. Day 3 starts again with a morning dive: 7 TATAWA KECIL. 11 o’clock dive: 8 TATAWA BESAR. Thousands of fish of every colour and shape are here including regal angelfish, checkerboard wrasse and masked unicorn fish, against a beautiful backdrop of acropora corals, gorgonian fans and sponges. 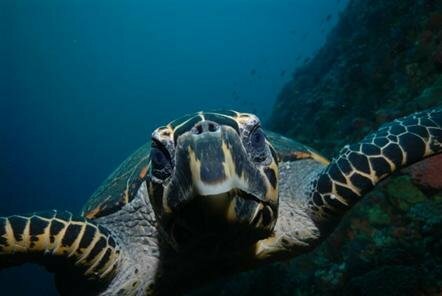 In the afternoon we dive: 9 MOANA‘s MANTA POINT or Pink Beach and 10 a night dive to the choice of the divers. Day 4 starts with dive 11, again in Batu Bolong. While we enjoy a delicious breakfast we sail to Pink Beach. Relax and enjoy the view while you are being pampered by the staff. Then a lot of diving. 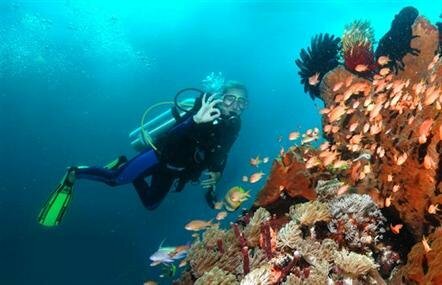 Dive 12 Pink Beach, 13 Cucumber City, Dive 14 is during sunset or at night in Komodo Ranger Bay. Day 5 starts with dive 15 'Pulau Tengah' (Small Batu Bolong) on our new secret hotspot. 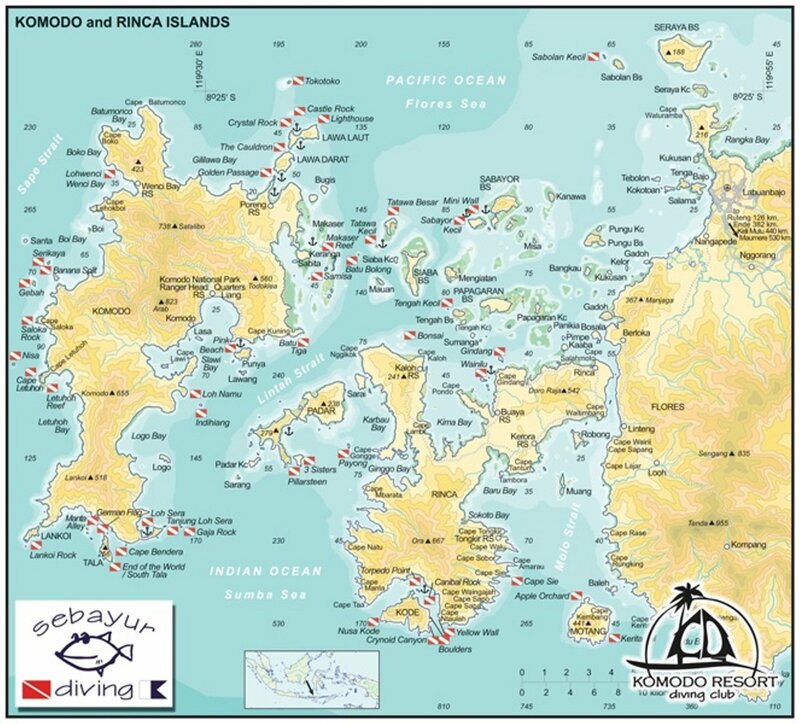 Then dive 16, a 'Muck Dive' in the bay of Rinca. 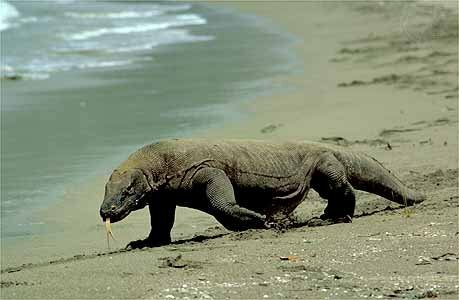 After that a 2-hour tour 'Dragon Walk', where you will see the last remaining inhabitants of Jurassic Park, the famous Komodo dragons! During sunset we will be in front of Bat Island where we will see thousands of Megabats flying over to the mainland in search of food. On day 6 you will be taken to the airport after breakfast, where your plane to Bali is waiting for you.